We are a leading Manufacturer of table top wind tunnel and ultra low temperature calibration bath (-80 degc) from Thane, India. 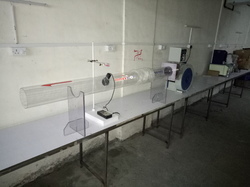 We are successfully engaged in manufacturing, trading and supplying of Table Top Wind Tunnel since our establishment. The offered product is manufactured with accurate precision, thus making it a quality product. Our product is well appreciated for its strength and long operating life. Furthermore, with the use of skilled professionals, we deliver this product to various customers with great satisfaction. We are the best supplier of Ultra low temperature high stability bath (-80 degC). 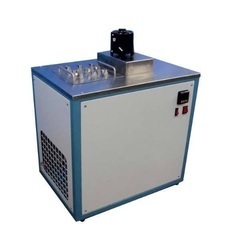 Ultra low temperature high stability bath (-80 degC) for calibration of sensors with high accuracy and stability.